An exclusive interview with Paul Kruszewski, AI technologist, serial entrepreneur, founder and CEO of WRNCH – a leading AI computer vision software engineering company based in Montreal. Will AI be the end of human creativity and jobs in fashion? While the answer is more complex than a single word, it is still a solid: No. The good, the bad and the ugly speculations surrounding AI should all be taken with a grain of salt. Darwin’s foresight that it’s neither the strongest nor the smartest but the most adaptable to change that will survive the test of time rings true. 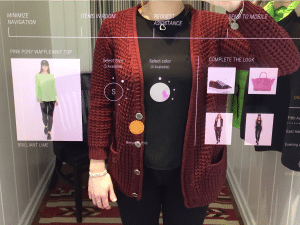 The fashion industry is dipping its toes (or legs as of 2018) in the waters of artificial intelligence. We sat down with a man who took a deep dive into these novel waters 20 years ago: Paul Kruszewski, AI technologist and serial entrepreneur. During our exclusive interview on his personal journey to success, he shared valuable tips for fashion companies looking to incorporate AI into their business. Come and take a look at the past, present, and future of AI and its implications for the fashion industry. Paul’s first encounter with technology dates back to late 70s, when he was raising pigs for pocket money as a 12-year-old kid at his family farm in Alberta. “I really wanted a computer, that was the cool thing” he recalls. After selling his pigs for $250 and combining it with his brother’s $250 input, he was still only halfway there. “I go to my dad and said, programming is the future. We need to buy a computer. You match us up to $1,000”. 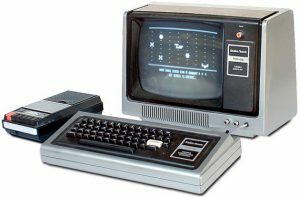 $500 later, he was writing his first program on a Radio Shack TRS-80. Fast forward to 1998, having completed his bachelor’s in computer science at University of Alberta, his MA and Ph.D. at McGill University, Paul was recruited by a company called My Virtual Model: “They said, e-commerce is going to change everything. We’re going to create your body on the internet and we will put clothes on you and we will charge”. With just a powerpoint and a $30 million capital, he took the team from 1 person to 60 in 9 months, built a chip while the founders sold the software. Looking back at the business, he maintains the vision was “conceptually great” but “the promise of trying clothes on the internet and making a buying decision from that… It was 20 years too early. The technology wasn’t there!”. When asked where he sees the technology today in means of enabling that vision, he says “We’re right on the cusp”. Paul goes on to predict that in 5 years it will be pretty standard for people to stand in front of their TV and try on basic clothing. “I think AI is going to transform everything… the supply chain, design. 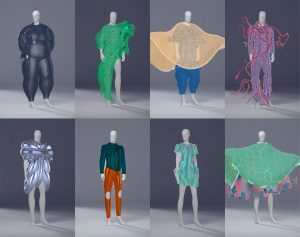 The design process of clothing will be semi-automated in 10 years. On the other side of the spectrum, AI is going to completely change materials and 3D printing”. Business of Fashion’s collaborative report with McKinsey & Company confirms Paul’s prediction, stating that 20-30% of current fashion jobs will become automated. But, don’t brace yourself for such a disaster scenario just yet. 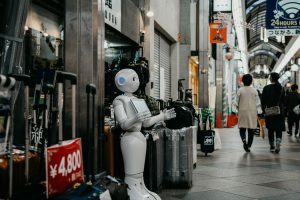 Rather than replacing humans, AI will be supplementing existing jobs and will be creating brand new ones. The bottom line is that fashion still does and will persist to need the human touch. 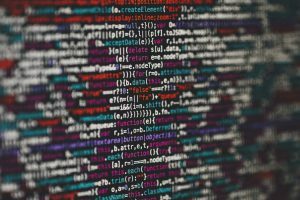 Prominent fashion schools of the world like The Fashion Institute of Technology in New York and The London College of Fashion are already incorporating AI-led skills training into their degree programs to raise the next generation of industry leaders. When once he was struggling to secure a place in the market, he was now getting calls from companies and corporations including the US Marine Corps. But what is the secret to his commercial success? “No matter what you think is the right call at the time, you have to listen to the market” he reveals, “There will always be that interesting tension of who controls the customer experience. Will it be the clothing manufacturer, the retailer or the person behind?”. While we will have to wait to find out the definitive answer to that question, he expects to be interesting to watch as completely different possibilities for fashion unfold over the coming decade. 1- What are you trying to solve? 2- What is your pain as an organisation? 3- What are you doing that you want to get better at? And find out where you can be unique! Talking about the evolution of AI as it relates to fashion, Paul reports that we have come a long way from the early simulators that were essentially just a pose with no interactivity. “We generate synthetic data: virtual humans, virtual clothing. We dress them, put them in virtual environments and we take virtual pictures of them”.